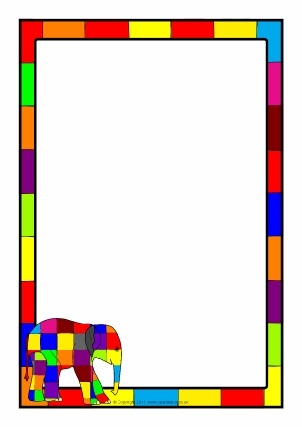 A colour banner for your ‘Elmer’ story display. A set of visual aids for use when working with the ‘Elmer’ story by David McKee. Pack includes pictures which can be resized and used for ordering activities, retelling the story and more. Also included are 4 sets of ‘patches’ with words to make story sentences. 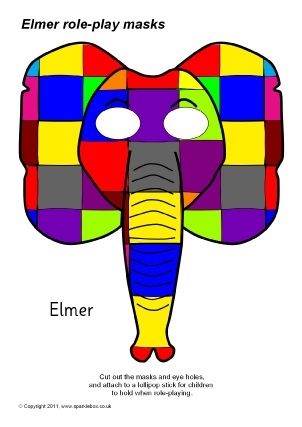 A colour vertical banner for your ‘Elmer’ story classroom display. 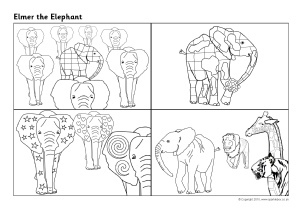 Simple printable masks featuring a patchwork elephant, grey elephant and 5 other patterned elephants. 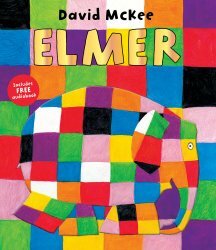 An ideal accompaniment to work on Elmer the Elephant by David McKee. 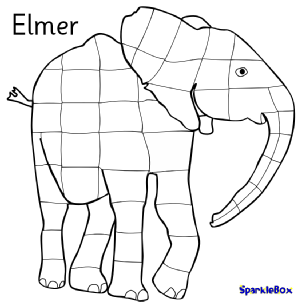 A set of simple black and white Elmer story pictures (4-to-a-page) that can be cut out and sequenced. Alternatively, they can be used as stimulus for children’s own written retelling of the story. 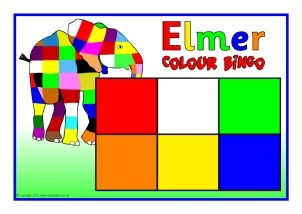 Bingo boards and word cards linked to the story of ‘Elmer’ by David McKee. Children match the colour words to the colours on their board. Portrait and landscape Elmer A4 page borders. Includes editable Microsoft Word templates as well as resizable JPG images. 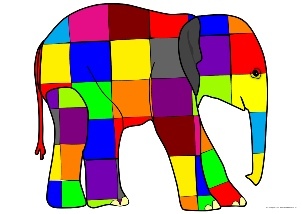 A Microsoft Word template that enables you to add text to patchwork elephants. 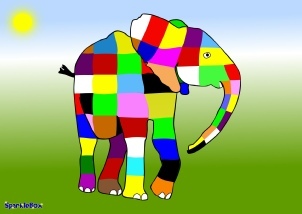 An ‘Elmer’ image which can be used as an ICT colouring activity. Open the BMP image up in Paint, Splosh or similar program and your children can use the ‘Fill’ tool to colour each of the patches. Alternatively, it can be printed out and used as a basic colouring worksheet. 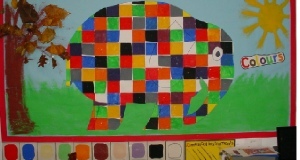 A colour banner for your ‘Elmer and Wilbur’ story display. 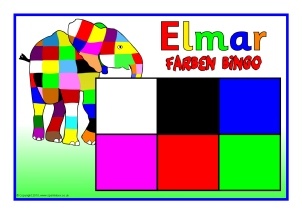 German version of our bingo boards and word cards linked to the story of ‘Elmer’ by David McKee. 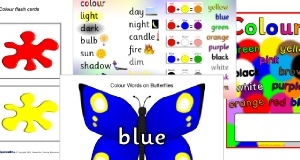 Children match the colour words to the colours on their board. 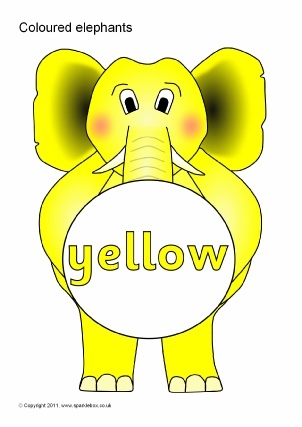 A set of PDFs with 300 different cards which children can sort and order. Sort by colour/number/size and order by size and number. 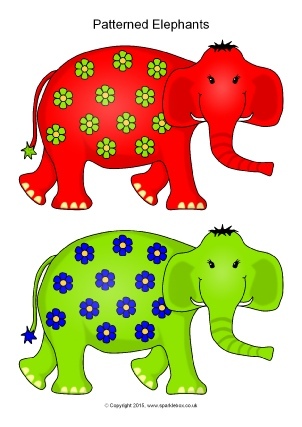 A very colourful set of printable patterned elephants. These are ideal for work on patterns, sorting and colour-related activities. 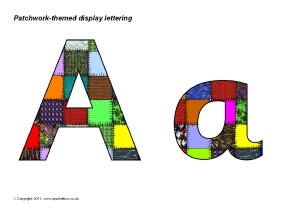 A PDF document with 26 alphabet letters (upper and lowercase) patterned with a patchwork quilt. These are great for printing and cutting out for use on displays. 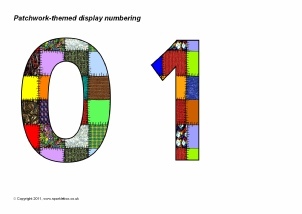 A PDF document with numerals 0-9 and symbols patterned with a patchwork quit. 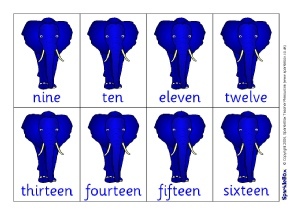 These are great for printing out as display numbering, or for classroom number lines. 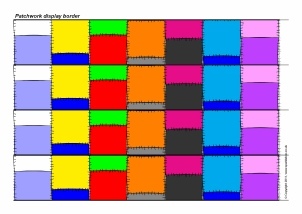 Print your own patchwork effect display border. Cut out the strips and assemble around your display board. An ideal accompaniment to the Elmer stories by David McKee. 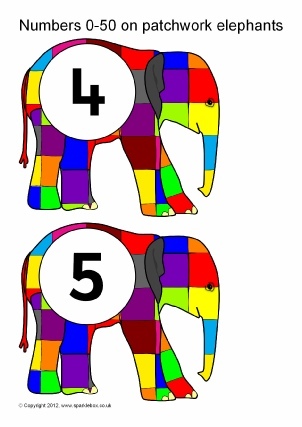 The numbers from 0 to 50 presented on colourful patchwork elephants. An ideal accompaniment to work on the story of Elmer by David McKee. 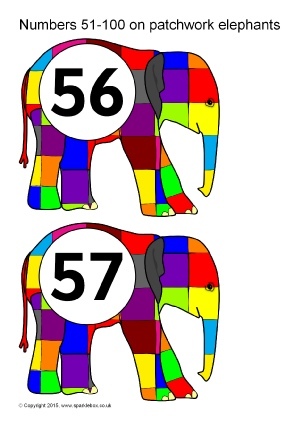 The numbers from 51 to 100 presented on colourful patchwork elephants. An ideal accompaniment to work on the story of Elmer by David McKee. 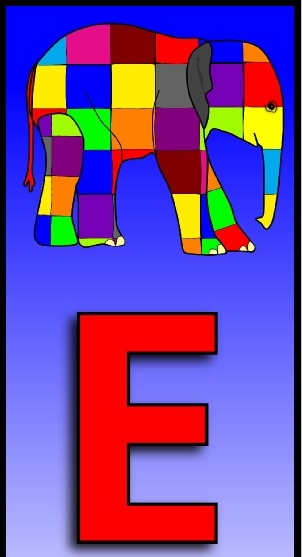 The lowercase alphabet letters presented on patchwork elephants. Colour words presented on different coloured cartoon elephants.